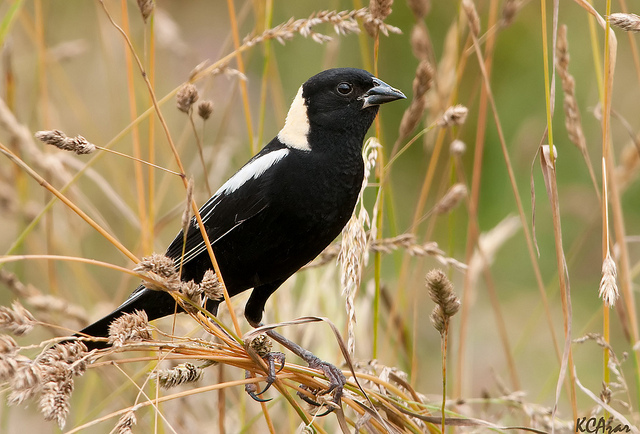 In summer the male Bobolink is unmistakable black and white. The female is brown striped. 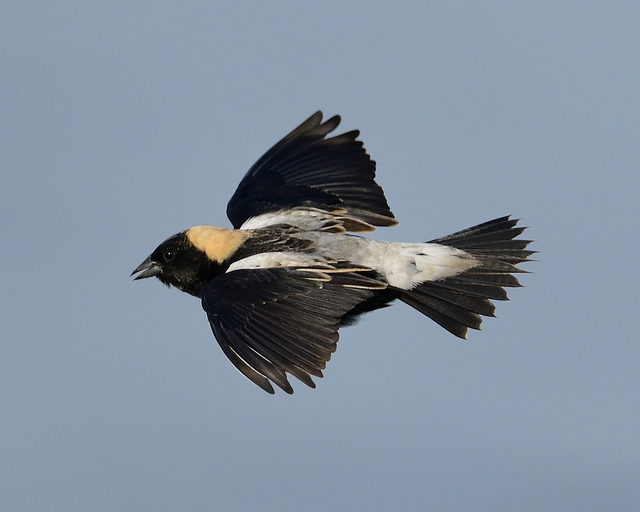 The Bobolink breeds in North America.